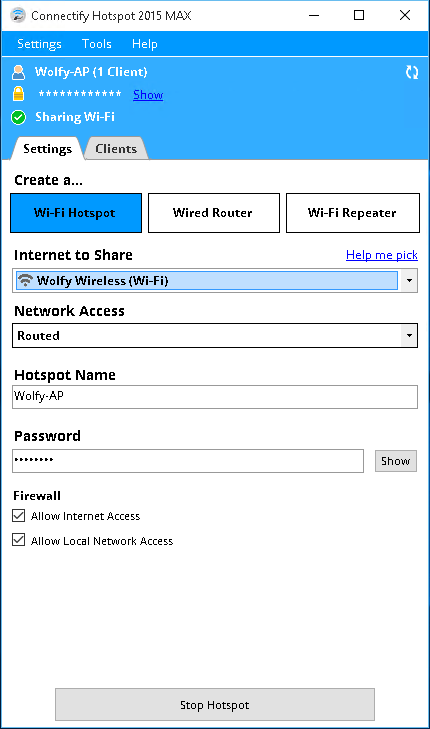 After that, I connected all my devices to Wolfy-AP and everything works without problems. 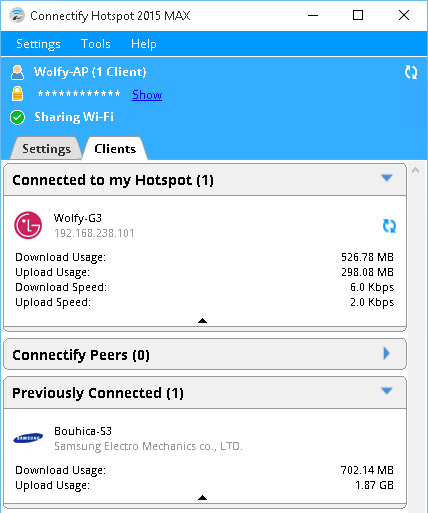 And the best thing off all… when I moved to the next hotel I asked only 1 ticket for WiFi, connected my laptop on hotel WiFi and without any other configuration all my other devices had internet connection, because they were already connected to my Wolfy-AP! For aditional info go to www.connectify.me.